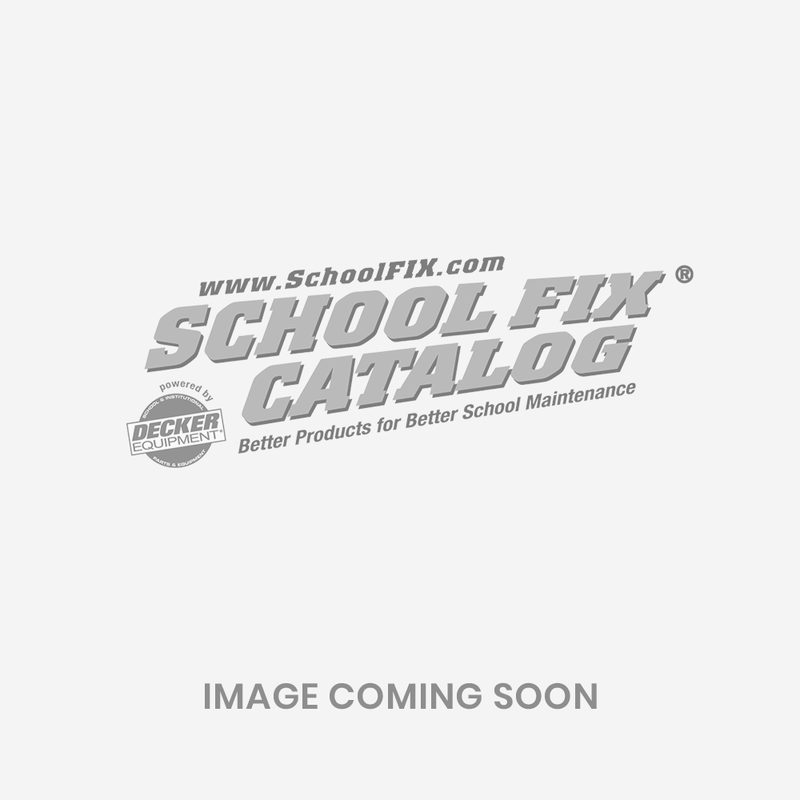 The School Fix Catalog is about providing great products, easy ordering, fast shipping and strong relationships with our customers. See what our customers have to say about their experiences. Pricing subject to change without notice. School Fix tries to keep pricing as low as possible, but we do reserve the right to change any prices without notice. Call 1-800-930-6299 for the most updated pricing. Many discounts for quantity purchases are available. Some items do ship freight; please call your School Fix Representative for a shipping estimate. Color Options: These colors shown are as close to actual colors, within limits of modern image capabilities, for this reason we must retain the right for reasonable color variation. Terms: We accept all major credit cards, however, most schools and institutions have an open account with School Fix. We take most purchase order numbers, and most verbal orders. Items purchased will be invoiced upon shipment. All invoices are due in full within thirty (30) days from date of invoice. Credit cards will be charged when item ships. Shipping & Delivery: F.O.B. Vassar, MI or Point of Manufacturer. Shipping will be prepaid and added to invoice. The customer is responsible for inspecting the shipment for loss and/or damage at the time of delivery. If there is visible damage, the customer should make a note on the shipper Bill of Lading, or refuse the shipment. It is highly recommended to open all packages and inspect before signing for them, report any damage on Bill of Lading. The customer is protected from any concealed damage ONLY if a claim is filed with the carrier within 3 days of delivery. Small shipments: Fed Ex/ UPS will deliver cartons off trucks into building. Large shipments: A truck will deliver your order using standard tail gate delivery if your building has a dock. If your building does not have a dock please let us know at the time of order. Lift Gate Available: It is the customer’s responsibility to request the lift gate at the time of order. Additional charges apply. Special Orders Vary in Lead-Time; Please Call for Details. Returns: All returns must be completed within 30 days of delivery and be accompanied by a Returned Merchandise Authorization Number (RMA), obtained by calling 1-800-930-6299. A 10-20% restocking fee will apply to all returns, unless School Fix shipped an item in error. Customer is responsible for original shipping charges and shipping back to School Fix. Some items are not returnable (lockers, restroom partitions, bleacher boards, coat racks, exit devices, and any other special order parts.) Ask when ordering to see if it is returnable. Credit or refund will be issued only for items returned in new, sellable condition. Cancellations: Some items are not subject to cancellation once the order is placed and in production. If you have any questions as to whether your order may be cancelled, ask at the time the order is being placed. Warranty: Customer acknowledges that School Fix provides products from third parties and has no responsibility for defects/failure of same. Only the warranties provided by the manufacturer are available to the Customer. Disclaimer: School Fix has made no representation or warranty as to any matter whatsoever. School Fix disclaims and customer expressly waives as to School Fix all warranties other than manufacturer's warranties, with respect to the product, including but not limited to, all express or implied warranties of merchantability and fitness for a particular purpose, quality, capacity or workmanship. Nothing contained herein shall diminish the right of customer to exercise all rights and remedies against the manufacturer of the product for any theory of law or equity for any loss of use. Revenue, anticipated profit or special, indirect, incidental or consequential damages arising out of the design and use of the product. School Fix shall identify the manufacturers' warranties it is aware of to customer. Customer Representation: Customer represents that the individuals placing orders(s) have the full authority to place the order and legally bind Customer. Governing Law: The purchase agreement (order invoice) shall be governed by and construed in accordance with the laws of the State of Michigan. If any provision or term shall be invalid or unenforceable, the remaining terms and conditions shall not be affected thereby and each provision shall be valid and enforceable to the fullest extent permitted by law.